and that can only mean one thing. 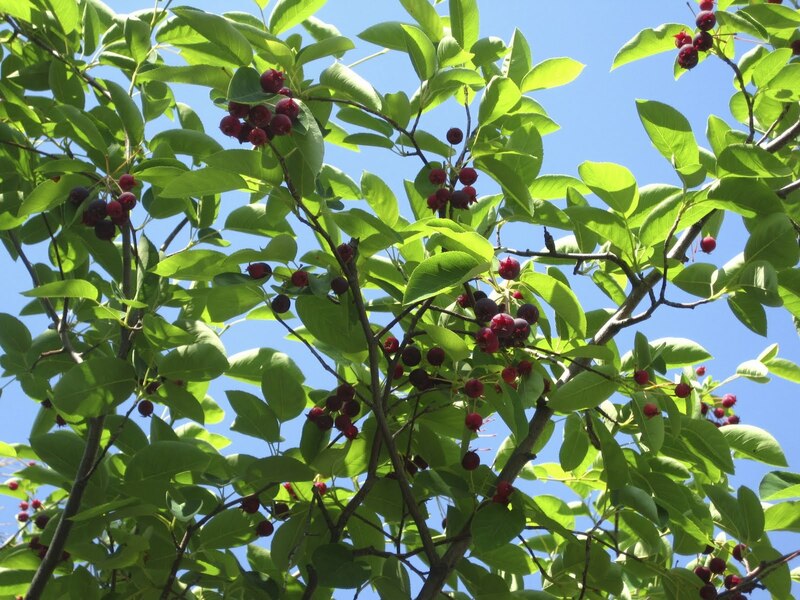 Actually, it can mean about a million things, but today it means Juneberries. 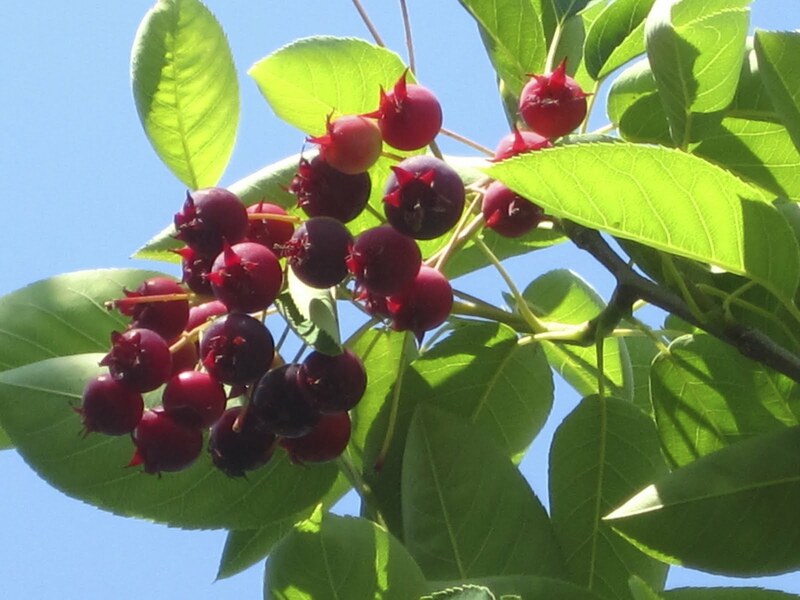 The Juneberries (Amelanchier canadensis) in Brooklyn Bridge Park are ripe and ready now, but the trees I have staked out in Manhattan (in Central Park and on a few terraces) still need several days to achieve perfection. As Marie and I picked yesterday afternoon in BBP, we dodged the park rangers in their electric carts. Not sure whether they would have ticketed us or not, but why take a chance? In the PA State Forests, you're allowed to remove a gallon of berries or nuts per person per day. Alas, I know of no such rule in NYC. Anyone? A man and two women stopped to ask if what we were picking was edible. I resisted the temptation to pop a berry in my mouth while saying, "No, they are highly poisonous." Instead I stopped them from picking red berries (the berries ripen to purple-blue) and offered them each a berry from my bag. Further north, under the Manhattan Bridge, the Amelanchier looked to be a different species (maybe alnifolia) and they tasted like dirt. Which just goes to show you...taste before you harvest. 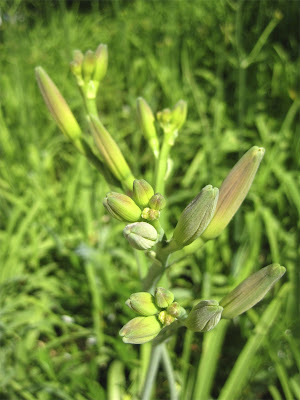 Daylily buds at the perfect stage for pickling or eating like green beans. 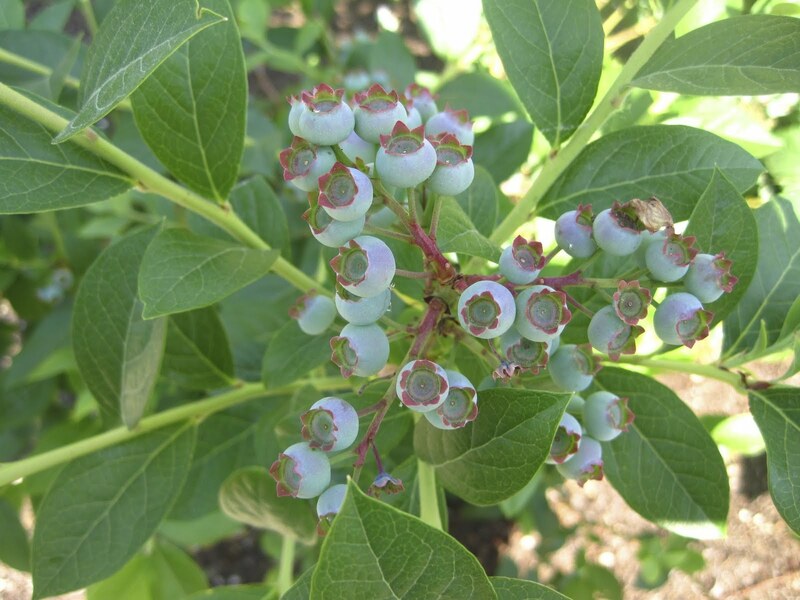 Blueberries should be ripe in a few weeks. Bayberry leaf (Myrica pennsylvanica) was perfect for harvesting. If anyone asks, just say you're pruning, not picking. Potato Potahto. Looking forward to seeing the upcoming book on bookshelves, my own included. 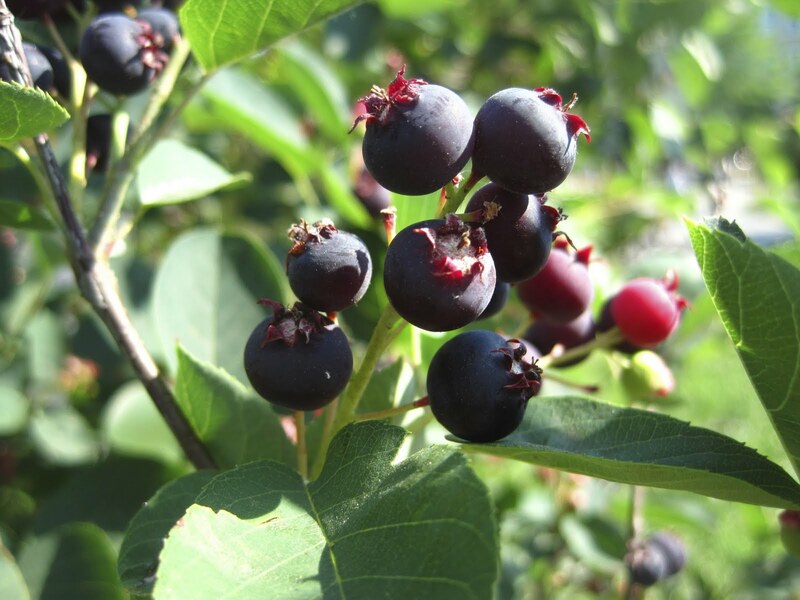 You will get me to try Juneberries this year for the first time. Cool! Did not know about the 1 pound 1 person rule in PA state forests, but love it. Maybe a quart per person in NYC, given how many of us there are! The birds got most of my blueberries, and some green beach plums, too (odd. very odd), but my dwarf juneberry is loaded. Pancakes this week! 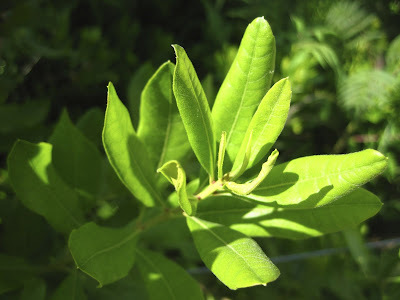 what do you do with the bayberry leaf? Sadly, I think the NYC rule is don't touch. Jim, how funny that the birds leave the juneberries. On my client's terrace (Central Park West) I have to battle the resident mockingbird every time I pick. Frank, Marie said she minced the bayberry leaf very fine and used it as a rub for pork. I'm going to do the same, adding some ground spiceberry. I'll let you know how that turns out. Well, Ms. Johnny Appleseed of the Amelanchiers, I swiped a berry (or two or three) on my way home this evening from a tree planted beside an apartment building nearby. It was fantastic. And here I was just thinking the bark was pretty and the juneberry fever was just hype. Sweetgum, I'm so glad you tried them! And even more glad that you liked them. I hope you're hooked.